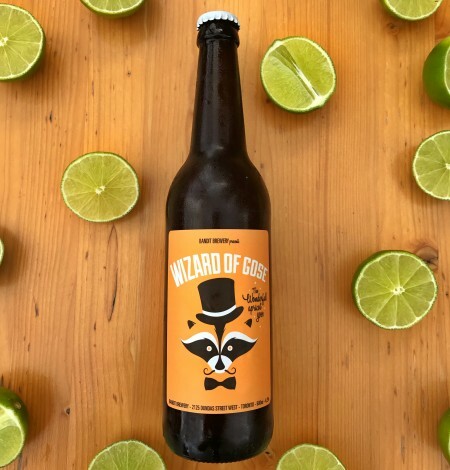 TORONTO, ON – Bandit Brewery has announced the release of the latest version of Wizard of Gose, an ongoing series of fruit-flavoured goses. The brewing process for this beer is not too different from our other Gose recipes. We’re using the same yeast and delicately bittering it with Perle hops, which provide the beer with a just a bit of spice. The beer is then kettle soured with our house strain of lactobacillus. The lime juice is added to the beer after the fermentation process is complete, resulting in an intense citrus aroma and flavour. The sea salt addition, characteristic to the style, helps to round out the excess acidity and keeps you wanting more. Wizard of Gose: Lime is available now in the Bandit taproom and bottle shop while supplies last.